From Cuero to Schertz, as South Central Texas locals, we all know the weather can go from one extreme to the other. The past few months started with a mild autumn which quickly flourished into cooler temperatures that will most likely continue on into February. It’s important to know, when it comes to your electric bill, weather matters! It only takes a few cold days to make a significant impact on your bill, especially if they fall within the same billing cycle. Here is a breakdown of what you can expect from your winter bills, some common energy wasters and pro tips that can help you save on your energy bill! Weather is one of the biggest factors when it comes to electric usage, especially during the coldest months of the year. Higher bills are typically expected December through February and sometimes March, depending on the weather during February. This is because low temperatures in January can drive up February and March bills. Remember, your bill reflects the previous 30 days of usage, which includes things like weather and habits. Holiday cooking and hosting can take a toll on your energy bill. According to the U.S. Department of Energy, they estimate that cooking alone accounts for 4 percent of total home energy use, and this figure doesn’t include the energy costs associated with refrigeration, water heating and dishwashing. With the holidays, also comes lighted decorations. But with more lights more energy is being used, especially if you use incandescent lights. Try investing in LED lights—they use up to 75 percent less energy than traditional, incandescent light bulbs and can last for 10 years. Using less energy for lighting means a lower energy bill for you! Pro tip: A great time to look for discounted LED lights to decorate your house and tree is in February, before Valentine’s Day. Online and in stores, retailers offer lower prices on holiday decorations to make room on their shelves for upcoming spring gardening season products. Air commonly leaks into a home through the outer walls, window and door seals, attic hatches, roof soffits and other openings, which wastes energy and increases your utility costs. It’s especially important to examine seals on doors and windows for air leaks when the temperatures drop. Pro tip: GVEC offers free home energy audits (exclusive to members), where a GVEC energy solutions specialist will meet with you, free-of-charge, to examine the energy efficiency of your entire home. Once the evaluation is complete, our specialist can give you a detailed report, by request, detailing any problem areas in your home along with recommendations for reducing energy costs. Scheduling preventive maintenance for your AC/heating system during spring and fall is important to ensure it’s running efficiently, which can help reduce high bills. Pro tip: GVEC offers a Check-N-Save AC Tune-Up option, which is a one-time maintenance check-up for your AC/heating System or a Comfort Check service plan, which is two maintenance service visits a year. Having your AC/heating system regularly serviced can help avoid costly breakdowns when the temperatures drop and helps you keep your warranty valid. In the winter, we tend to use more electricity by staying inside watching TV, using computers, play video games, etc. These small habits can rack up usage on your energy bill. Pro tip: Unplug chargers and other energy vampires when not in use and plug them into power strips to turn off and on as needed. Space heaters or fireplaces are inefficient sources of heat. If you run three space heaters in different rooms for 10 days within the same energy billing period, that’s an extra $60 a month on average! Electric water heaters are the second largest energy consumer in a home. Taking long, hot showers or baths to warm up is an easy way to run up your energy bill! The number of consecutive hours and days temperatures remain low outside is another factor that can affect your utility bill. Without adequate insulation, roofs and exterior walls stay cool, which means your AC/heating system has to work harder to keep your home warm. If you have a heat pump AC/heating system, make sure you don’t manually switch your system to auxiliary/emergency heating mode. A properly operating system knows when to rely on emergency heating when necessary. Save energy by keeping your thermostat setting lower in the winter. For every degree you lower your thermostat in the winter, you can save up to 4 to 6 percent on your heating costs. Pro tip: The Department of Energy recommends lowering your thermostat to 68 degrees in the winter. Keep plenty of blankets around the house and dress for the weather so you can set your thermostat lower. SMARTHUB CAN HELP YOU SAVE! Monitor your usage with the Explorer tool in SmartHub®. Along with being able to track your home’s daily energy usage and daily temperatures, it also lets you see it in terms of dollars and cents. Having this information at your fingertips can help you make “real-time” lifestyle adjustments to save for the remaining cold days this winter. 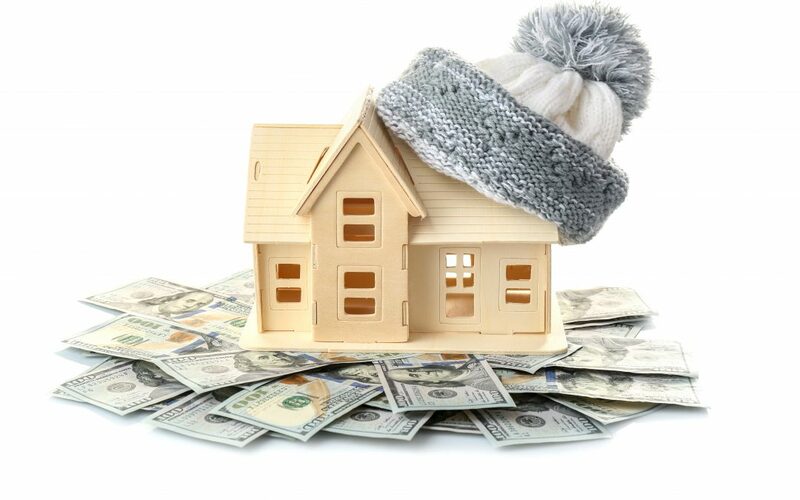 With more cold weather is on its way, high bills could occur through March. Don’t forget to use SmartHub as a tool to battle winter bills for this season’s remaining cold weather. To learn more home energy efficiency tips for the winter visit: https://www.gvec.org/electric/energy-efficiency/home-efficiency-tips/.